H&R suspension components are synonymous with quality. Since the inception of H&R in the late 1970s, they have been making some of the highest quality suspension components available. 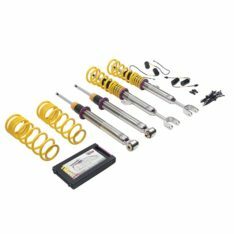 With a need for an improved suspension in the automotive aftermarket, H&R essentially created the modern-day coilover that we are all used to. Not only concentrated on “stance,” H&R considered high quality materials and ride comfort extremely important. 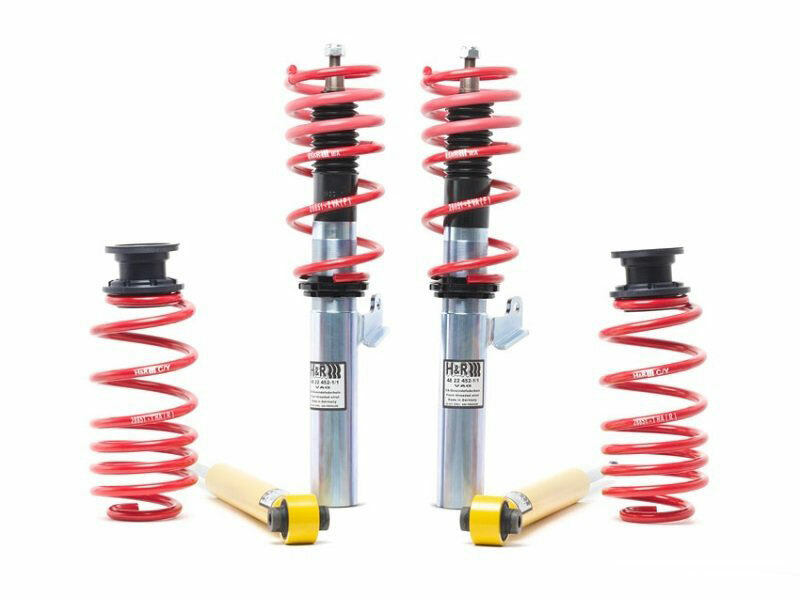 Front – 1.0-1.75" / Rear – 1.0-2.0"
Bring some of that German engineering to your vehicle with a set of H&R street performance coilovers. With the adjustability of ride height, the fully threaded, custom valved suspension system will offer high performance with superb ride comfort and handling. Progressive rate springs both front and rear assure that no matter what height you have your vehicle set at, your ride will be great. By lowering the vehicle’s center of gravity, less body roll will be experienced during hard cornering with a more balanced vehicle weight. 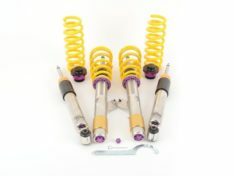 H&R has dedicated almost four decades to the suspension industry and it definitely shines through in the end product. Their teams of engineers and designers have consistently produced products obtaining the coveted TUV & ISO certification for safety and quality. 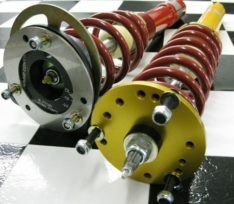 100% German made, the line of H&R coilovers is the original aftermarket suspension, but still one of the best.